Are you looking for a custom mobile app solution that encourages social sharing? 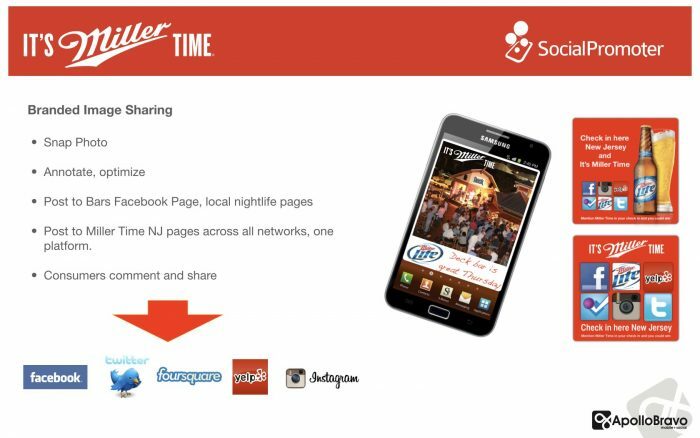 ApolloBravo designed a custom Miller Time application enabling promotional teams to share branded Polaroid-style images across multiple social media pages instantly. And the app allowed promotion teams to check-in to retail locations and share events and promotions with branded images that were annotated with text and custom messages. It’s a lot less expensive than traditional Polaroids and each image gets broad visibility via multiple social media from one platform.